The 2018 MLS All-Star game took place Wednesday at Mercedes-Benz Stadium in Atlanta. Juventus forward Andrea Favilli scored in the 21st minute to give the Italian giants the lead. Hometown hero Josef Martínez equalized five minutes later. After a scoreless second half the match went straight to penalty kicks, in which Juventus prevailed 5-3. Defender Francisco Calvo started and played 32 minutes in Wednesday’s game. Darwin Quintero was among a rash of second half substitutes. In his 28 minutes on the pitch, the Loons’ midfielder managed two shots, one of which was on target, but did not beat Mattia Perin, the Juventus keeper. 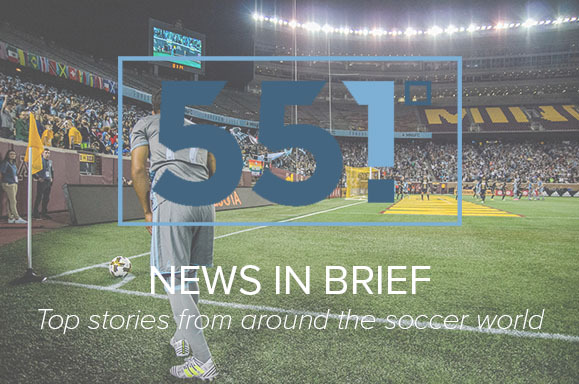 MNUFC acquired an international roster spot in a trade with the Colorado Rapids in a deal finalized on Wednesday. The Loons sent $50,000 in General Allocation Money to the Rapids in exchange for an international spot for the 2018 season. The sport will be filled by DP signing Angelo Rodríguez, who is now set to make his debut for MNUFC on Saturday’s match against the Seattle Sounders. The announced transfer of Vancouver Whitecaps midfielder Alphonso Davies to FC Bayern Munich has the New York Times asking if European clubs will start buying star MLS players.